Terrie was reelected to her 5th term in November 2016 representing Norwalk and Darien. 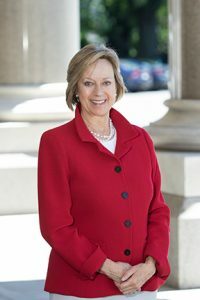 She currently serves as ranking member on the Human Services Committee, and also serves on the Regulations Review Committee, Finance, Revenue, and Bonding Committee, and the Bonding Sub Committee. In 2013, Terrie served as Co-chair of the Mental Health Working Group of the Gun Violence and School Security Bill, legislation passed in response to the school massacre in Newtown. Terrie was instrumental in crafting and implementing the Mental Health portion of the bill along with her Co-Chair Sen. Toni Harp. Both were very much aware of the importance of educating people about mental health and helping to de-stigmatize mental illness. One of the initiatives of the bill was to encourage citizens to take the nationally certified Mental Health First Aid (MHFA) Course. After recommending the course, Terrie took the MHFA Course and is now “Mental Health First Aid Certified”. She felt that if she were recommending the course, she should know what it was all about. She encourages everyone to take the course as it is a good step to increasing awareness of Mental Health issues. Terrie also coordinated the organization of two course offerings in the area for citizens to take the MHFA Course. Terrie also Co-Chaired the Special Education Working Group of the MORE Commission. Their mission was to look at how special education is delivered and funded. In 2014, Terrie received the Connecticut Council of Family Service Agencies’ Family Legislator of the Year award. Previous to serving in Hartford, Terrie had successful careers in advertising and photography. Terrie was an actor in many national television commercials and voiceovers in New York City. She later founded and ran a portrait photography business specializing in black and white portraiture. In time, the non-profit world and passion for community advocacy beckoned. She is a Co-Founder of The Darien Environmental Group, served as President of the Darien Land Trust, Co-Chair of the YES…DHS Referendum Committee for a new Darien High School, trustee of The Darien Library and The Community Fund, an ABC host family, member of Republican Town Committee and the Representative Town Meeting. Terrie and her husband Jay, have three children all of whom graduated from public high school and were EMT’s and members of Post 53 EMS service. Involvement in these community organizations has given Terrie an understanding of the issues of the 141st District as well as leadership experience in bringing people together to find solutions and make the community stronger. Besides actively serving her constituents in Hartford, she continues her community advocacy on the CT Advisory Board of The Trust for Public Land and on the Person-to-Person Advisory Board. She is honored to represent the many spirited citizens of Norwalk and Darien.